We introduced a star rating system to classify hotels in 1912, and in 2006 we developed Common Quality Standards (alongside the main tourist boards) for inspecting and rating accommodation. These standards and rating categories are now applied throughout the British Isles. Hotels, guest accommodation, self-catering and serviced accommodation are given star ratings, while caravan, camping and glamping sites are given pennant ratings. Out of the many thousands of restaurants in the UK, we identify over 2,000 as the best by awarding them Rosettes for culinary excellence. The Rosette is an award rather than a classification, and they are awarded annually on a rising scale of one to five. At the AA we want you to rest assured that the establishments we recommend will meet the standards you require. Therefore, we assess and rate accommodation under a set of common quality standards which we have agreed with the UK tourist authorities VisitBritain, VisitScotland and VisitWales. Additionally, we give hotels and guest accommodation a designator and a star rating which shows the guest what kind of service and facilities they should expect. Hotels are given one of the following designators and assessed against the Common Quality Standards for hotels. Hotels are awarded classification on a scale of 1 to 5 stars. Guest accommodations are given one of the following designators and assessed against the Common Quality Standards for guest accommodation. Guest accommodation is awarded a rating on a scale of 1 to 5 stars. This is living accommodation for fixed term rental for holiday and business purposes. The normal letting term is 1 week; however shorter and longer periods may be arranged. To be appointed by the AA, properties are required to undergo a quality-based assessment and must achieve the minimum entry requirements as detailed in the Common Quality Standards for self-catering and Common Quality Standards for serviced accommodation. Appointed self-catering properties and serviced accommodation are awarded a rating on a scale of 1 to 5 stars. Caravan parks, campsites and glamping sites are assessed against the Common Quality Standards for caravan and camping sites and Common Quality Standards for glamping sites. Sites are awarded a rating on a scale of 1 to 5 black pennants. 1 star: Courteous staff provide an informal yet competent service. All rooms are ensuite or have private facilities. A designated eating area serves breakfast daily and dinner most evenings. 2 stars: A restaurant or dining room serves breakfast daily and dinner most evenings. 3 stars: Staff are smartly and professionally presented. The restaurant or dining room is open to residents and non-residents. 4 stars: Professional, uniformed staff respond to your needs or requests. Well-appointed public areas. The restaurant or dining room is open to residents and non-residents. Lunch is available in a designated eating area. 5 stars: Luxurious accommodation and public areas. A range of extra facilities and a multilingual service available. Guests are greeted at the hotel entrance. High quality menu and wine list. 1 star: Minimum quality requirements for cleanliness, maintenance, hospitality, facilities and services. A cooked or substantial continental breakfast is served in a dining room or eating area, or bedroom only. 2 stars: Courteous service, well-maintained beds. Breakfast prepared with a good level of care. 3 stars: Friendly welcome, and good-quality, well-presented beds and furniture. A choice of good-quality, freshly cooked food is available at breakfast. 4 stars: Attentive, more personalised service. At least half of the bedrooms are en suite or have private bathrooms. Very good beds and high quality furniture. Breakfast offers a greater choice, and fresh ingredients are cooked and presented with a high level of care. 5 stars: Awareness of each guest's needs with nothing being too much trouble. All bedrooms are en suite or have a private bathroom. Excellent quality beds and furnishings. Breakfast includes specials/home-made items, high quality ingredients, and fresh local produce. 1 star: Minimum quality requirements for cleanliness, maintenance, fixtures, fittings, and furnishings. Items provided are adequate and functional, all in working order, and are fit for the purpose intended. 2 stars: A good standard of quality overall is required. Improved coordination and use of space, and a wider range of items provided. 3 stars: Detailed evidence of care and external maintenance. A good provision of local information and additional recreational items. Well-finished fittings and decor and a kitchen well-stocked with cookware, crockery, cutlery and utensils. 4 stars: Very good to excellent standards throughout, with high quality coordinated furniture, fixtures and fittings. Ample space with well-planned layout of furniture; high quality and very good range of kitchen equipment. 5 stars: Exceptional and outstanding levels of comfort throughout, with an excellent range of items. High quality furniture with striking interior design. An excellent range of kitchen appliances, cookware, crockery, cutlery and utensils, all in pristine condition. In addition to the star rating, we give each hotel an AA Merit Score as a percentage. This indicates the level of quality achieved within each star rating, which helps you to compare hotels with the same number of stars. The AA's supreme accolade for hotels, regardless of size or type of operation. A hotel awarded red stars has been selected by the AA as one of the best hotels in the British Isles, offering excellent levels of quality throughout, outstanding levels of hospitality and service. Highly recommended hotels offering a superior level of quality within their star rating, high standards of hotel keeping in particular hospitality, service and cleanliness and hold an AA Rosette award for the quality of their food. The AA's supreme accolade for guest accommodation, regardless of size or type of operation. AA Gold Stars are awarded to the very best properties offering excellent levels of quality throughout and outstanding levels of hospitality and service. The AA's supreme accolade for self catering offering excellent levels of quality and facilities. 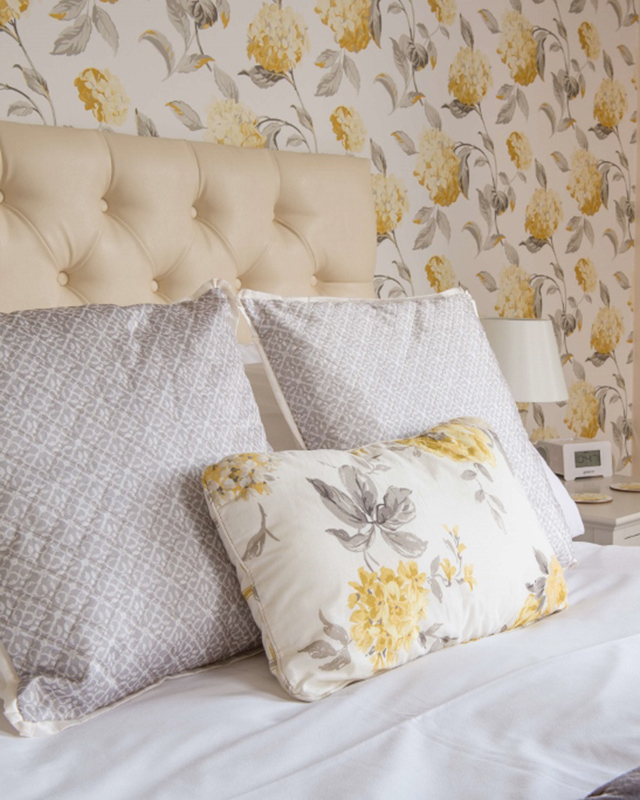 Highly recommended guest accommodation offering a superior level of quality within their star rating, high standards of hospitality, service and cleanliness. Hotel, guest accommodation or self catering may have an 'unconfirmed' symbol because their star rating has not been confirmed. This may be due to a change of ownership, or the establishment has only recently joined the AA rating scheme, or we are working with the management/owners whilst works and changes take place to achieve an AA star rating. Establishments inspected and rated by VisitBritain, VisitScotland or VisitWales can pay to belong to the AA Associate hotel/guest accommodation scheme. You can be confident that all AA Associate-recognised establishments have star ratings that meet the common quality standards. These establishments are not rated or inspected by the AA but are displayed for purely advertising reasons only. Caravan parks and campsites are inspected and rated from one to five black pennants. This is an assessment of the quality and variety of facilities a park offers – including customer care and hospitality, toilet facilities and park landscaping – based on the inspector’s experienced opinion. The percentage score runs from 50% to 100%, and indicates the relative quality of parks with the same pennant rating. The top level is classified as a Five Pennant Premier Park. There are also separate categories for holiday centres and glamping sites. The AA pennant rating is only based on the touring pitches and the facilities at campsites and caravan parks. AA inspectors do not visit or report on rented static caravans or chalets. 1 Pennant: One-pennant parks offer a simple standard of facilities. You can expect to find no more than 30 pitches per acre, with at least 10% of the pitches allocated to tourers. There will be an adequate drinking water supply and reasonable drainage, plus a washroom with flush toilets (if there are no toilet facilities this should be clearly stated). Chemical disposal arrangements are provided, ideally with running water and clearly signed refuse disposal arrangements. The ground will be well-drained with some level pitches, and entrance and access roads will be of an adequate width and surface. 2 Pennants: These parks offer a better level of facilities, services, customer care and ground maintenance. You should find separate washrooms, including at least two WCs and two washbasins, with hot and cold water, per gender for every 30 pitches. Toilet blocks will be externally lit and a warden will be available, at times indicated, during the day. Covered and lit dishwashing facilities are provided and you can expect to find a park reception area. 3 Pennants: Three-pennant parks are of a very good standard with well-maintained facilities and grounds, and attention to customer care and security. You can expect to find modern toilet blocks and also modern shower cubicles (one per gender for every 35 pitches). The parks offer some electric-hook-ups, hardstandings, wheel runs and/or firm level ground. A laundry with at least one washing machine and drying facilities will be available, and you can expect to find a children's playground. 4 Pennants: These parks have achieved an extremely high standard in all areas. You can expect fully tiled shower cubicles and some combined toilet-washing cubicles. A warden is available at all times, and there is a good level of security and supervision. At least half of the pitches will have an electric hook-up and there will be a maximum of 25 pitches per camping acre. There will also be a shop on site or nearby, and the park will have a reception area and a late-arrivals enclosure. AA Pennant-rated parks and Holiday Centres achieve an overall quality score as a percentage, which helps to differentiate parks with the same Pennant rating. AA Gold Pennants are awarded to the very best camping parks with a Quality Score of 90% and above within the 2, 3, 4 and 5 Pennant ratings. AA Platinum Pennants are awarded to the very best camping parks with a Quality Score of 95% and above with a 5 Pennant rating. Check out all the Platinum Pennant parks. Holiday centres also receive a percentage score between 50% and 100% to differentiate quality levels within the same grading. Like the pennant rating, this percentage is reassessed annually. Glamping sites are inspected and rated from one to five black pennants. This is an assessment of the quality and variety of facilities a site offers – based on the inspector’s experienced opinion. The percentage score runs from 50% to 100%, and indicates the relative quality of sites with the same pennant rating. The top level is classified as a Five Black Pennant. For a detailed break-down of what is expected at each pennant level, take a look at the Common Quality Standards for glamping. What are Rosettes all about? The long-established Rosette scheme celebrates successful cooking at different levels across the UK. Success or failure in achieving Rosettes is based on one or more visits by an AA inspector to a hotel or restaurant. Essentially the visit is a snapshot, whereby the entire meal, including ancillary items (when served), is assessed. AA Rosettes are solely awarded by our hotel and restaurant Inspectors, and external influences from hotels, restaurants or other guides are not taken into account. About 10% of restaurants nationwide are of a standard that is worthy of one Rosette and above. How can you achieve a Rosette? We recommend you don’t chase awards, but rather see them as something to celebrate when they come along. While we endeavour to work with the industry and promote great cooking across the UK, it is paramount to always serve your market first. If you have aspirations to win a Rosette, you’ll find that the simple guidelines below provide helpful information. Furthermore, AA food tastings, enhanced food tastings, or signing up to one of the AA Rosette Academies can give insight and guidance, but they are separate from the awards process and do not influence any assessments we make. What can the Rosette scheme do for you? We asked all establishments with a AA Rosette for their views on the benefits of the Rosette scheme. Most establishments feel that pride is the most important aspect of being awarded an AA Rosette. 1 Rosette: These restaurants achieve standards that stand out in their local area. They serve food prepared with care, understanding and skill, using good quality ingredients. The same expectations apply to hotel restaurants, where guests can eat in with confidence and a sense of anticipation. Around 50% of restaurants/hotels within our AA Restaurant Guide have one Rosette. 2 Rosettes: Excellent restaurants that aim for and achieve higher standards and better consistency. A greater precision is apparent in the cooking, and there will be obvious attention to the selection of quality ingredients. Around 40% of restaurants/hotels within our AA Restaurant Guide have two Rosettes. 4 Rosettes: Among the top restaurants in the UK, where the cooking demands national recognition. These restaurants exhibit intense ambition, a passion for excellence, superb technical skills, and remarkable consistency. They will combine appreciation of culinary traditions with a passionate desire for further exploration and improvement. There are very few restaurants with four AA Rosettes. 5 Rosettes: The pinnacle, where cooking compares with the best in the world. These restaurants have highly individual voices, exhibit breathtaking culinary skills, and set standards to which others aspire to, yet few achieve. One and two Rosettes are awarded at the time of inspection. Three and four Rosette awards are announced twice during the year, but never at the time of inspection. Five Rosettes are awarded just once during a year, and never at the time of inspection. When a chef holds three, four or five Rosettes and moves from one establishment to another, the award is suspended at the hotel/restaurant they have just left. The award does not follow the chef either. We therefore recommend that establishments inform us of a change of chef as soon as possible, in order to schedule a forthcoming inspection.